iOS has so many settings in one app, it’s kind of ridiculous. Whether you want to change preferences for an app or the operating system itself, a trip to the crowded Settings app can often be a frustrating experience. 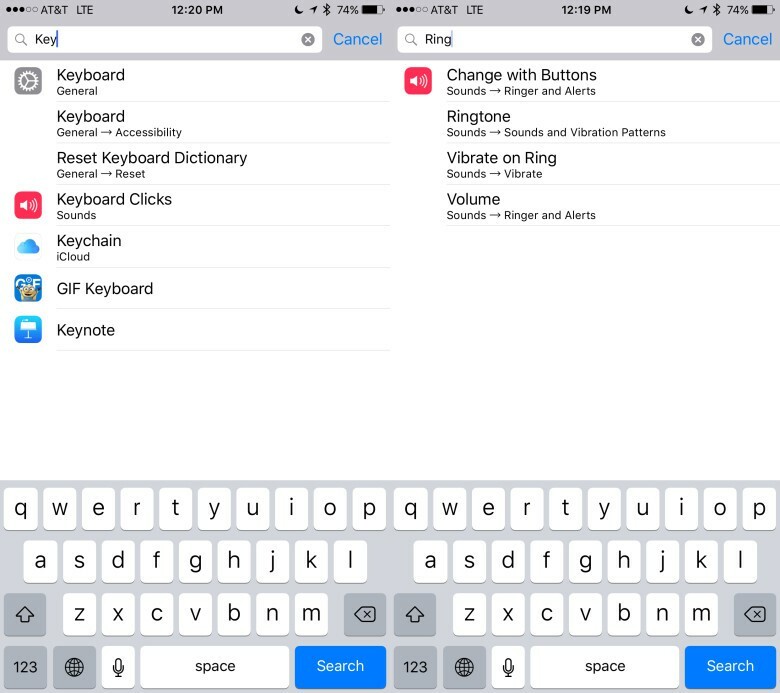 iOS 9 — still in beta — has a solution for that information overload though: Search. Launch the Settings app on your iPhone or iPad running iOS 9 beta and make sure you’re on the first Settings screen. 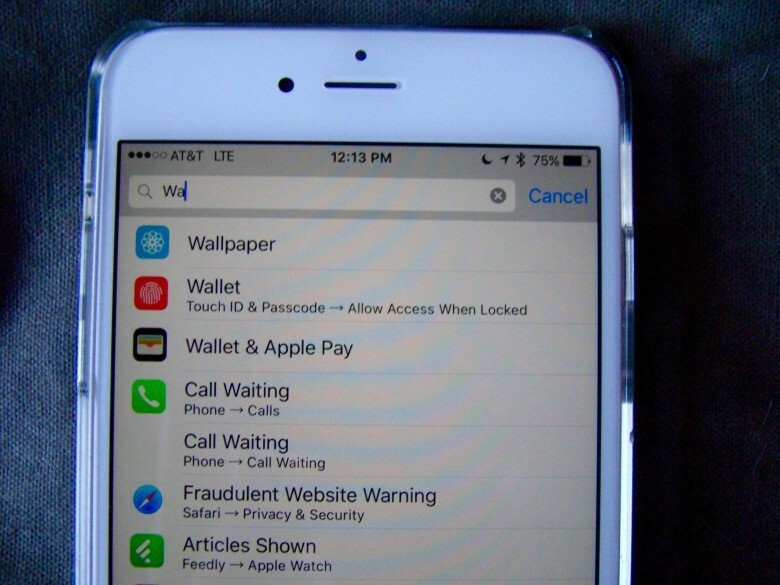 You’ll see Airplane Mode, Wi-Fi, Bluetooth and Cellular as the first items. At the very top you’ll also see a text field that you can type into with a magnifying glass icon next to the word Settings. Why they didn’t name it Search is beyond me, but that’s how it goes. Tap into the Settings search field and type in whatever search term you’re looking for. “Key” will bring up the Keyboard settings in General, Accessibility, and Reset Keyboard Dictionary. It also shows me Keyboard Clicks in the Sounds section, Keychain in iCloud, GIF Keyboard (don’t judge) and Keynote, the app preferences for Apple’s presentation software. “Ring” shows me Change with Buttons in the Sounds > Ringer and Alerts settings, Ringtone in Sounds > Sounds and Vibration Patterns, Vibrate on Ring in Sounds > Vibrate, and Volume in Sounds > Ringer and Alerts.